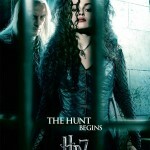 Warner Bros. has released nine thirty-second television spots for Harry Potter and the Deathly Hallows: Part 1. You can check them out over at their YouTube channel, or below. 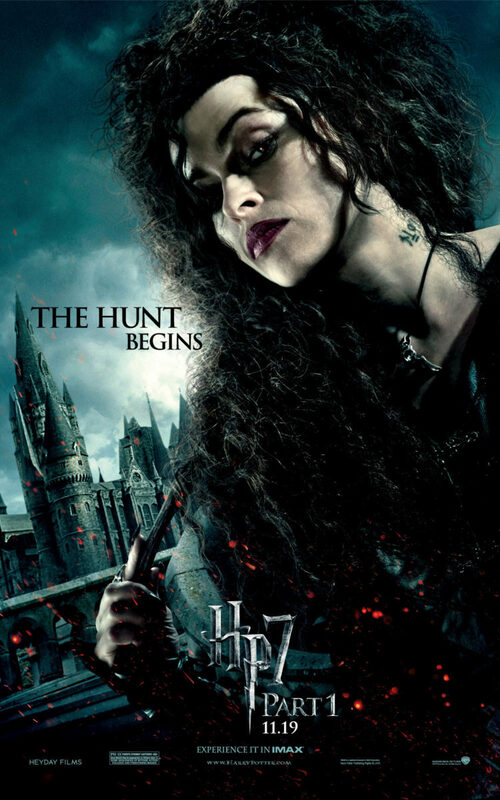 Check out a new poster for Harry Potter and the Deathly Hallows: Part 1 featuring Bellatrix Lestrange and the tagline, “the hunt begins”. 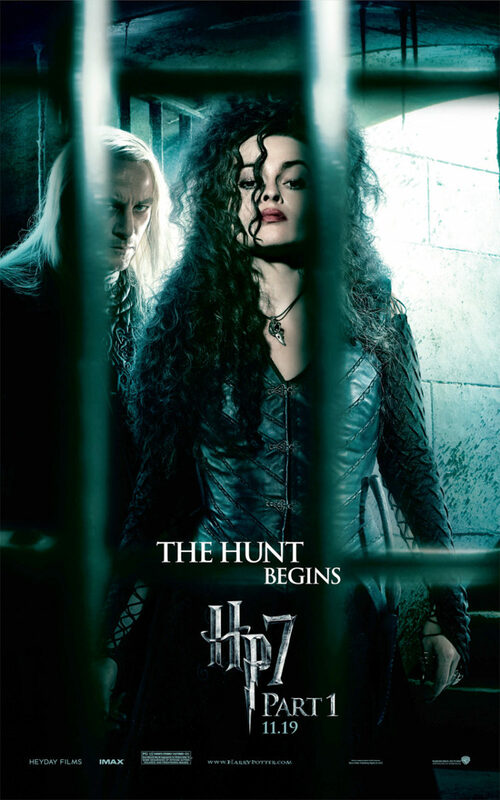 You can see more of the “hunt begins” character posters by clicking here. 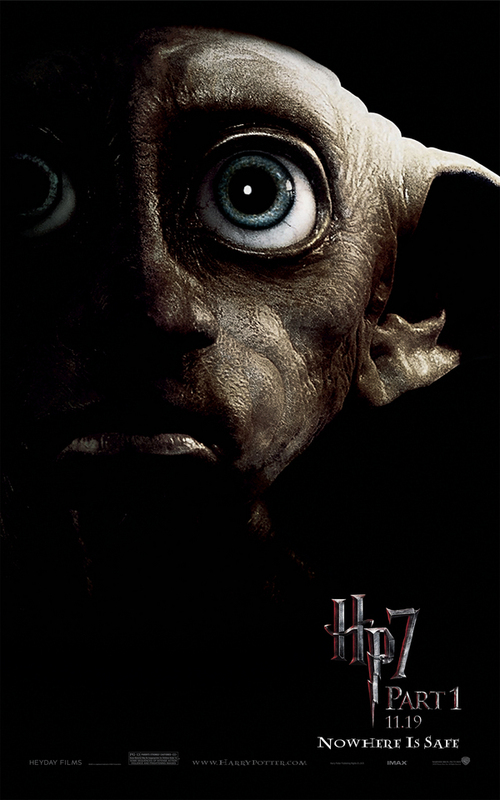 Warner Bros. has released a new promotional poster for Harry Potter and the Deathly Hallows: Part 1, this time featuring Dobby the house-elf. I recently had the pleasure of chatting to Andy Linden, the actor who will portray Mundungus Fletcher in Harry Potter and the Deathly Hallows. Although Mundungus appears in a number of the Harry Potter books, this is the first time we’ll see him brought to life on screen. Harry Potter Fan Zone (HPFZ): How did you come to be cast as Mundungus Fletcher? 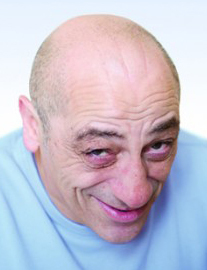 Andy Linden (AL): I’ll be brutally honest with you; a bit of nepotism came into play there as it does with showbiz. I’ve worked with David Yates before. I did an art house movie with him many years ago when the world was flat [laughs]. Then I had a small role in State of Play, a quite successful TV series, so he [kept] me in mind for Mundungus Fletcher. HPFZ: Were you a Harry Potter fan at all? Had you read the books or seen the films? AL: I’d read the last book actually. The thing is you see I’m pushing fifty-seven, so at my time of life it was more Lord of the Rings in terms of fantasy. I was in my forties [when the first Harry Potter book was released] and I wouldn’t have known about Harry Potter, but in my youth it was Tolkien really. HPFZ: Did you read up on the books once you’d been cast or go back and check what your character got up to? AL: Yes, I did. I read the last one – the one that I was involved in – and I started watching the movies just to get a feel and shape of things to come. HPFZ: When did you start filming Deathly Hallows? AL: That would have been late February/early March 2009. I do believe mine was the very first scene [shot]. HPFZ: Was that the Seven Potters scene? AL: No, that was later on. This was a scene in Diagon Alley. The scene is set where it’s absolutely chucking it down. It’s [raining] relentlessly. Needless to say, I was quite the big drip all day. HPFZ: Could you talk about what other scenes Mundungus appears in? There’s another scene in the book where he gets attacked by a house-elf. AL: Yes, Dobby and Kreacher attack him in the kitchen. I do believe it’s Kreacher that brings him back from Diagon Alley because he stole the [locket]. Eventually, he’s questioned by the three of them regarding it. There are three very good scenes and it’s a lovely little cameo. I had such a great time doing it. HPFZ: Does Mundungus appear in Deathly Hallows: Part II at all? AL: No, alas, Mundungus is not in Part II which is a shame really, but he’s a joy to play. HPFZ: What was it like doing special effects scenes for example transforming into Harry? AL: Time consuming [laughs]. It’s all highly technical so consequently all the scenes are broken up if you know what I mean. You’re kind of acting to nothing really. It’s hundreds of little series of eye liners and pulling faces and trying to anticipate what’s coming next. 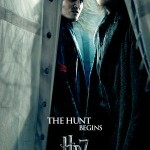 HPFZ: Daniel Radcliffe mentioned that that sequence took ninety-five takes to film. AL: Yes, and that really wasn’t the inability of the actors. It was technical. It was [the crew] having so much coverage that they’re spoiled for choice if you know what I mean. HPFZ: Did you get to ride on a broom as well? AL: Yes, I did [laughs] but in the guise of Harry Potter. By then everybody had taken the Polyjuice [Potion]. Consequently, we’re all decoys. That particular scene took a long, long time simply because Daniel had to replicate all our different expressions and movements. HPFZ: It sounds like it was a pretty intense process. AL: Yeah, somewhat elongated shall we say. But I had a great time on Harry Potter. I thought the cast were wonderful; the crew are fantastic as well. You’ve got a crew there that know exactly what they’re doing. They’ve been doing it for ten years and you’re in good hands. HPFZ: Finally, in the books, Mundungus is a big one for hoarding souvenirs. Were you able to take any souvenirs away from your experience on Harry Potter? AL: I would love to say yes, but I couldn’t really. They’re quite precious when it comes to props and costume. Even script, you’ve got to guard it with your life. I’ve taken away from it some good memories. Harry Potter Fan Zone would like to thank Andy for his time in putting together this interview. Warner Bros. has released four new character banners promoting Harry Potter and the Deathly Hallows: Part I.
Conrad Pope, the orchestrator for the Harry Potter and the Deathly Hallows: Part I soundtrack, has provided another update via his Facebook page. The score, which is composed by Alexandre Desplat, is due for release on November 16th. Recording began in September. Last month, Pope also provided information regarding some of the themes we should expect in the score. 27 August: Working on Alexandre Desplat’s new score for the next “Potter”. Exciting, vigorous music! Harry flies, fights and conjures. 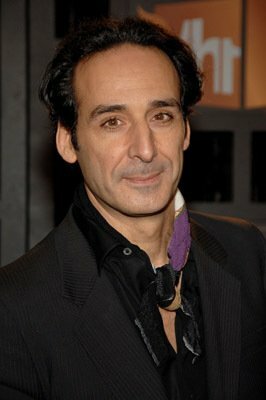 All accompanied by the distinctive, definitely non-generic voice of Desplat. Those who love melodies, harmonies and emotions in their film scores should be pleased. Reminds one of the old days. Stay tuned. 24 September: Just finished the first week with the LSO of recording Alexandre Desplat’s score to “HP7”. Harry Potter now occupies a new musical universe. For Lovegood AD has written a charming, “groovin'” theme. 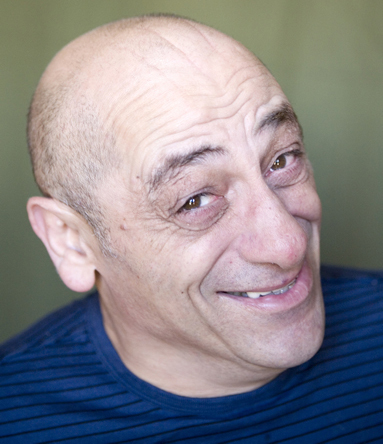 Dobby, too, is given a new “voice”. The emotional music reaches its climax in Ron’s speech in the “wilderness” where the poetry of AD conveys the emotion in a single chord’s voicing. Stay tuned. 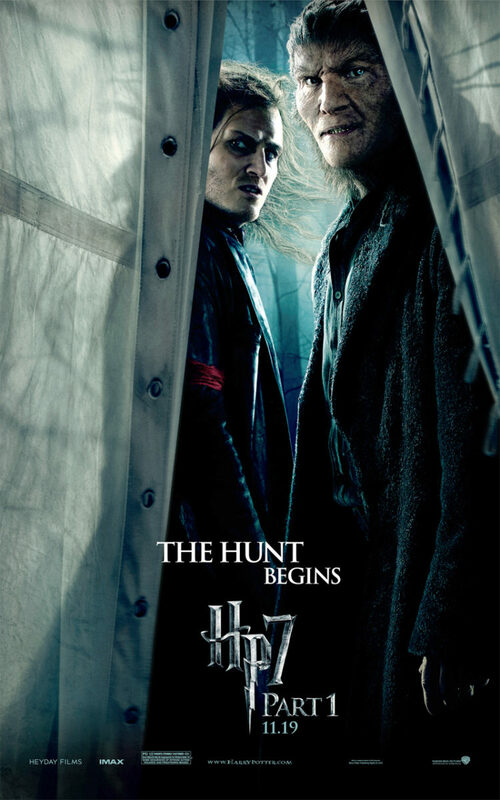 Harry Potter and the Deathly Hallows: Part I will be released on November 19.